On May 22nd, 2017, a bomb exploded during an Ariana Grande concert in Manchester, England leaving 22 dead. It’s been a little over a year since this heartbreaking night, and Grande honored the memory of the victims and the resilience of her fans with a tattoo of a bee, the symbol of Manchester. It was also reported that Ariana and her tour crew got matching bee tattoos a year ago after her benefit concert, One Love Manchester. 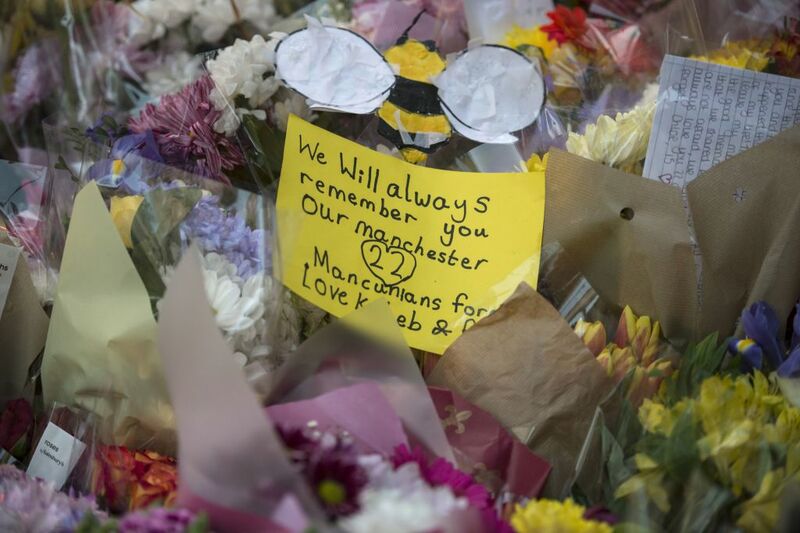 At that time, several Manchester-based tattoo parlors offered up the same bee ink to fans, and all proceeds from the tattoos went to the families of the Manchester victims. Grande opened up about the 2017 terrorist attack in a recent interview with Time. "I don't want to give it that much power," Grande told the publication. "Something so negative. It’s the absolute worst of humanity. That’s why I did my best to react the way I did. The last thing I would ever want is for my fans to see something like that happen and think it won." Grande also gave a subtle nod to the city and people of Manchester at the end of her “No Tears Left to Cry” video, when a single bee flies across the screen in the final seconds of the song. "There are so many people who have suffered such loss and pain," Grande added in the same interview. "The processing part is going to take forever." As always, we are sending love to Grande, her fans, and the families of the Manchester victims as they continue to process that tragic night.